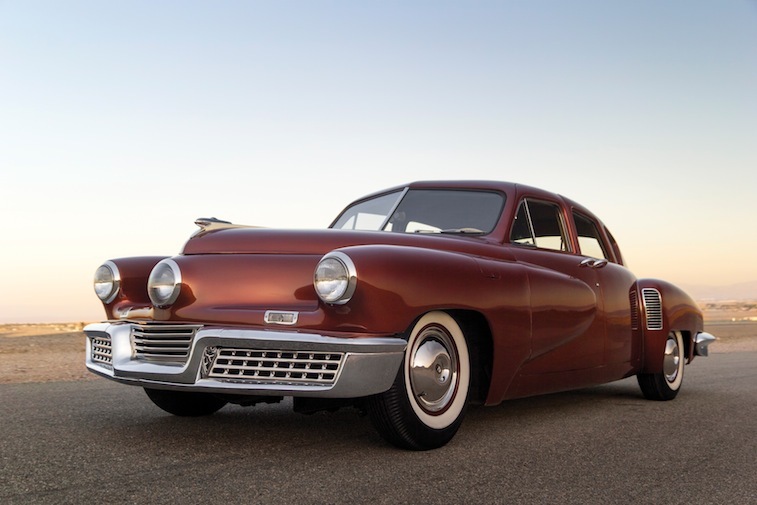 While most ’40s cars were warmed-over versions of pre-war models, the 1948 Tucker looked like something out of the future, and with safety-minded features like a reinforced passenger cell, padded dash, and third headlight that turned with the wheels, it was. The brainchild of industrialist Preston Tucker, the company earned national attention after a successful public relations and fundraising tour, but it only managed to build 51 cars built before it ran out of money. Tucker’s collapse became a national scandal, and U.S. government indicted the company’s executives for fraud. Because of their rarity and historical significance, the Tuckers have become some of the most valuable American cars ever built. This car was sold by RM Sothebys in August 2014 for $1,567,500. Throughout Cadillac’s star-studded past, few models shine as brightly as the Eldorado. Launched in 1953, the range-topping Caddy was an ultra-exclusive flagship model that attracted buyers from President Eisenhower to Elvis Presley. By the end of the decade, the redesigned four-door model cost more than a Rolls-Royce Silver Cloud and was considered one of the most elegant cars in the world. In 1967, the Eldorado was re-imagined as a radical two-door “personal luxury coupe,” kicking off one of the most popular segments of the late ’60s and ’70s, and becoming the second front-wheel drive car ever built by General Motors. 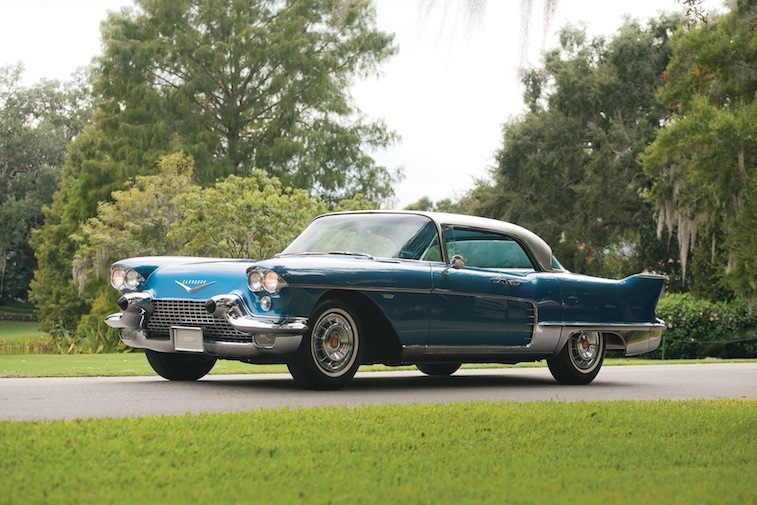 Proving that there’s plenty of magic left in these old Caddys, this 1958 example was sold at this year’s Amelia Island auction by RM Sotheby’sfor $148,500.